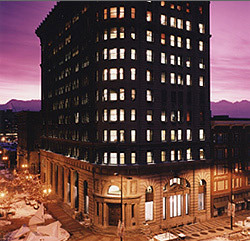 Features: The Newhouse Building is a historic structure which was developed by Fischer Properties in 1980-81. It was built in 1909 in response to the surge of growth which took place in Utah during a mining boom. The building was an opulent modern structure of that era and has been handsomely restore to its original condition and use.